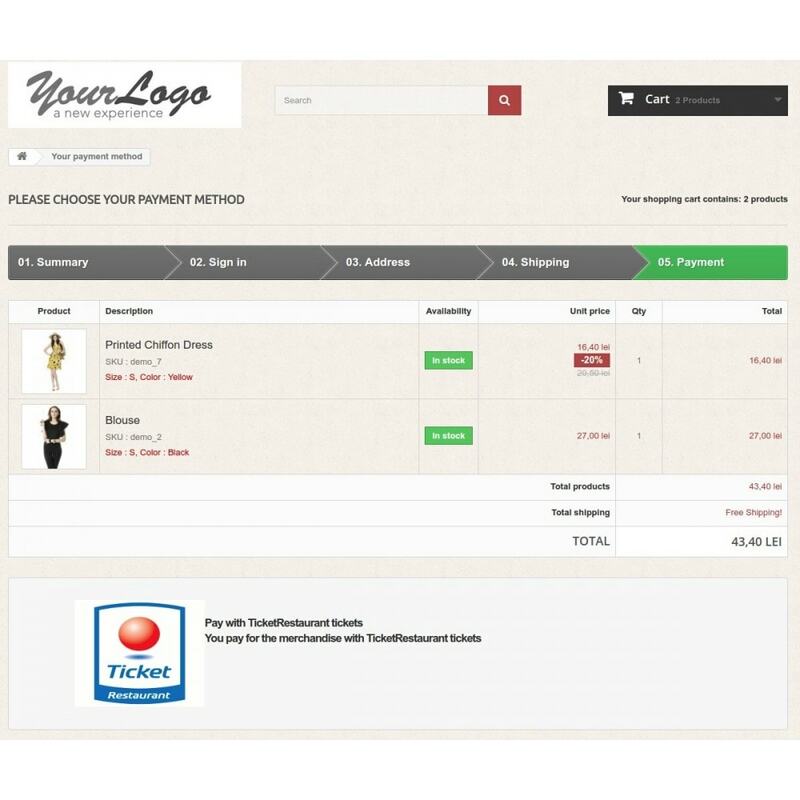 Allows your customers to pay for the purchased items or services, with TicketRestaurant or ChèqueDéjuner tickets. Having an alternative payment method on your site, like TicketRestaurant payment, (a.k.a. Chèque Déjeuner ) encourages your customers to buy your products or services even if they don't have the money to buy. Many European companies pay a part of their employees earnings (especially in Eastern Europe) with TicketRestaurant, (a.k.a. Chèque Déjeuner ) foodstamps or tickets. Having this payment method as an alternative to cash, EFT and other monetary payment methods, encourages your customers to purchase your products or services even if they don't have the money for them. Watch the installation, configuration and usage video, for a quick and easy start with this module. This module does not have any specific requirements. 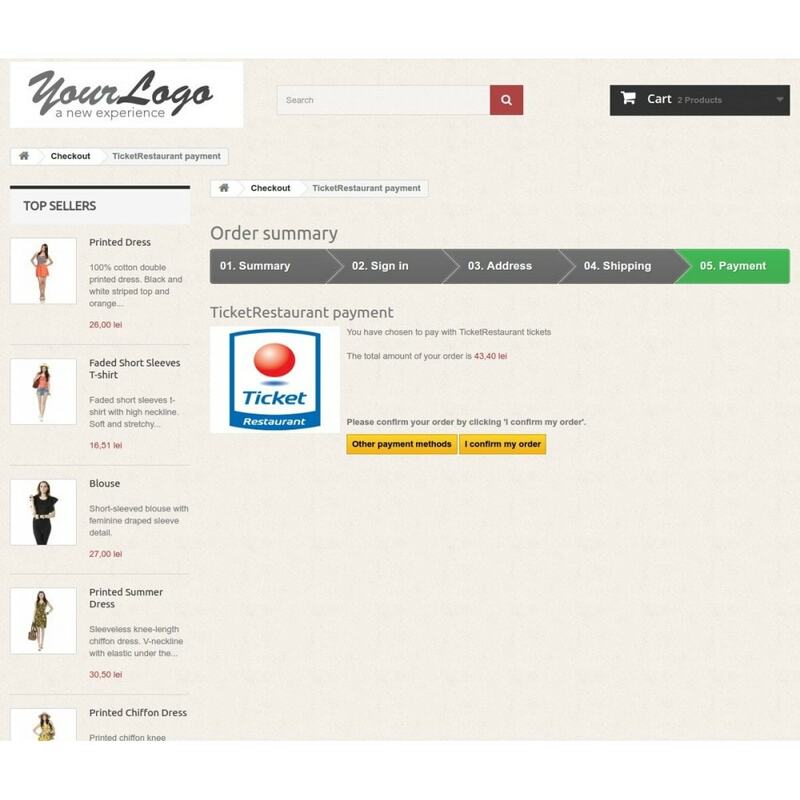 The installation procedure is the regular installation procedure of any prestashop module. 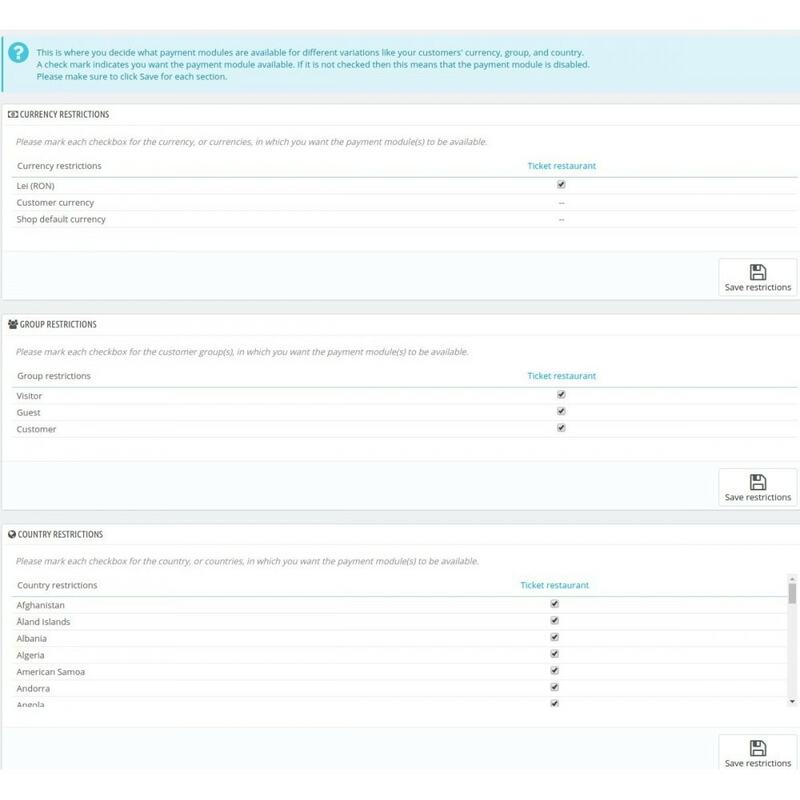 This module allows a shop administrator to set a specific employee, or several specific employees, to be notified of order status changes.Separate / different employees can be set to be notified for every order status change.